From my point of view, I'm really excited for the next few years. For a minute there it looked like Ryf/Frodeno had a stronghold on Kona for the next few years. I figured it would take a world record performance to take down Frodo but I also thought he'd be in the mix for that world record. I think this race was one of the most exciting in recent years. The top 3 men off the bike all smashed the bike course record and Lionel, in second, was only 7 seconds away from Crowie's course record. There's a brand new dynamic to this race now and so many tactics. It's no longer about being a balanced athlete like Frodeno, it's been shown you can win by being an uber-runner like Lange or an uber-biker like Keinle/Sanders. On the women's side, I'm also extremely excited to see what Lucy Charles can do in the future, could she potentially lead the race wire-to-wire? I'm also impressed by Heather Jackson's bike split, just 45 seconds down from Ryf. I thought the race was great. Probably as exciting as it can get for an eight hour race. Patrick Lange is un-human. Dude looked so fresh running that marathon. Lionel will win this race without a doubt, watching him hurt in the final few miles was unreal. McNamee from out of the woodwork was impressive as well. These guys are really on another level. 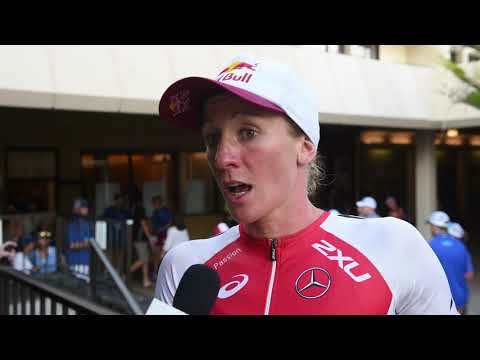 I feel like for Ryf to get beaten, Lucy Charles needs another one to two women to ride with out of the swim. She'll then need to have the run of her life. Four men under 8:10, right? Looking at past results, there have only been two years since 1997 in which there were two men under 8:10. Likewise for women - only the third time two women have been under 9. I know the courses have changed slightly, but this is still remarkable. Clearly Messick is doing something right, to generate such awe-inspiring performances. Hey actually said on Breakfast with Bob that after some food/salt he felt great and the day after the race had "little soreness". I mocked him when Talbot Cox did the 24hr video and his "6 day taper" and his 5-year plan of biking 4:00 - flat and running 2:35. Now I'm terrified the mad lad might actually do it. It looks like someone put a deflating football in his leg. I was wondering, before the race, if Frodo might retire if he wins, thinking how much more can he accomplish. Now with the Sanders and Lange threat, I see him sticking around. Bring on Gomez and Brownlee too. I wanna see a 4-man sprint/dive across the finish line. I think it was great to see Lucy Charles delivering on her potential. I thought it was interesting that Thorsten figured she was going to struggle to be in the top 10 and would see tens of people bike and run past her... I'm not entirely sure where he got that idea from given her performances in Lanza and Frankfurt as well as in Challenge Races throughout the year. Now I won't pretend I was picking her for second but I thought she was likely to get in the top 10 and a not unreasonable shout to get in the Top 5 - glad to see that she delivered!!! On the guys side - really interesting to see the runners showing up and possibly a power shift away from the uber bikers. It is one of the interesting things about the Kienle/ Sanders/ Wurf train that they invariably pull some of the runners up with them (even if they can't hang on the entire way) and helps keep them in contact with the all-rounders. Be really interesting to see how things develop with Gomez hopefully coming on next year - presumably he'll be up there on the swim, will stay in contact with the chase pack on the bike and with Lange and Gomez charging through the pack... well, that could be spectacular - repeat of the iron war perhaps? The most impressive thing to me is that Sanders ran a 2:52 when every stride looked like complete garbage. Sanders has some easy gains to make in the water and with the improvements he's made in the past 12 months. I don't think it's unrealistic to see him at 51min next year. Now that Lange's run is is no secret, he'll have to up his bike a bit. Sanders can easily drop a few minutes off his swim, but Lange can really only go faster on the bike. I predict that Ryf has a huge win next year. I think she's been pulled different directions lately (wiht 70.3 worlds and the triple crown) and she could afford it. Now that Charles has put some fear into her I think she'll be untouchable. 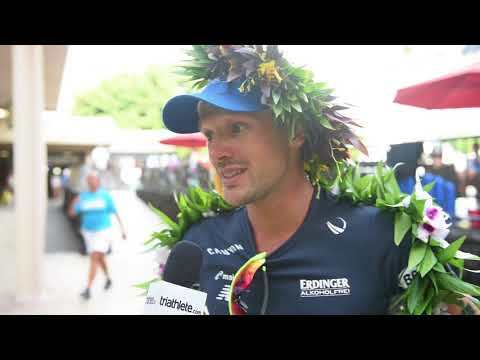 The prospect of Gomez in Kona is awesome. There's one Kona rookie I wouldn't worry about! Thorsten had Lionel sitting 28th. I mean, based on his last year kona performance, ok, but he also kind of redeemed himself with Arizona, Oceanside and long course worlds. Obviously Kona, more so than many races, is subject to the weather. Based on the times this year, they clearly had favorable conditions to open up the potential for a fast bike. Add to that the dynamics created by having some of the best bikers all essentially together out of the water and one of them with a bike record goal. It was the perfect day to attack the bike record. If Starky shows up next year and he, Wurf and Talansky deliberately attack together chasing the record, it still will come down to whether or not the weather cooperates. I enjoyed this interview with Nikki Bartlett. Me: I dunno, doc, you were there. @AaronWebstey - can you also add a "spoiler your lunch" alert, too. That would be great !